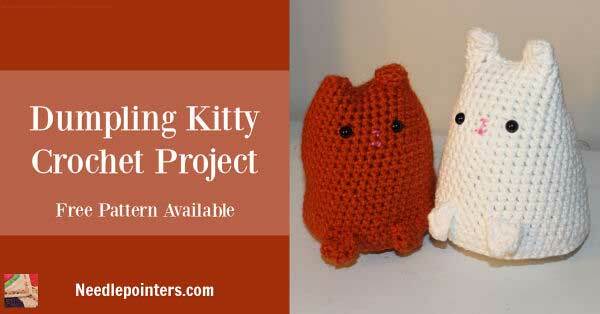 We share our personal projects with you. 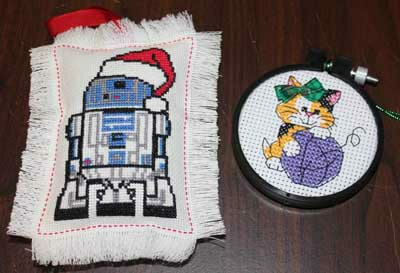 Here are some that we have made. 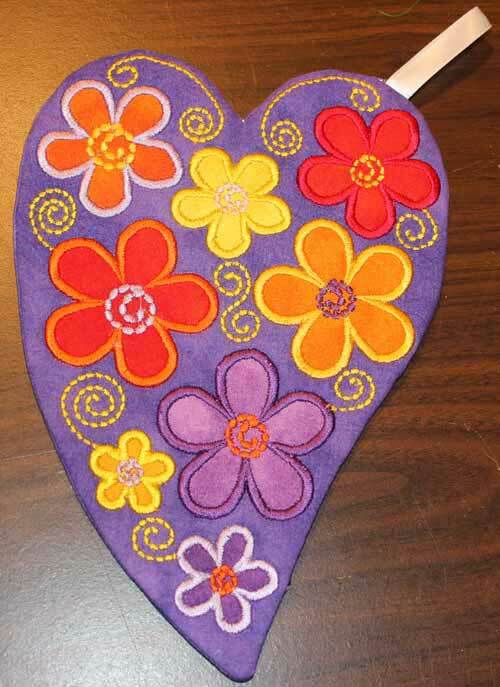 We hope they inspire you! 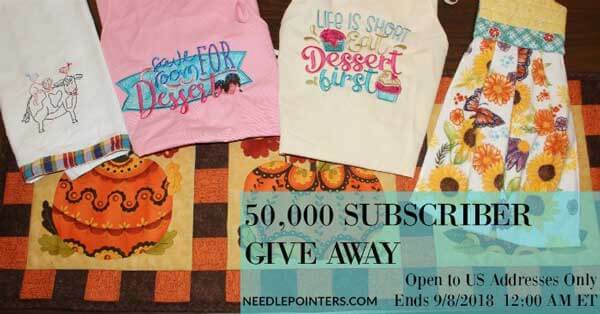 Hooray, our YouTube Channel has passed 50,000 Subscribers! 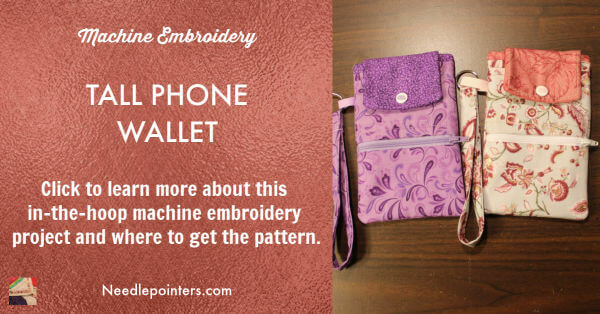 So, in appreciation to all of our wonderful and dedicated subscribers, we are holding a give away. 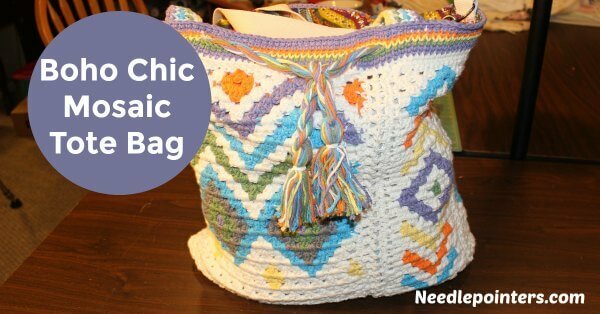 Learn entry rules and how to enter. 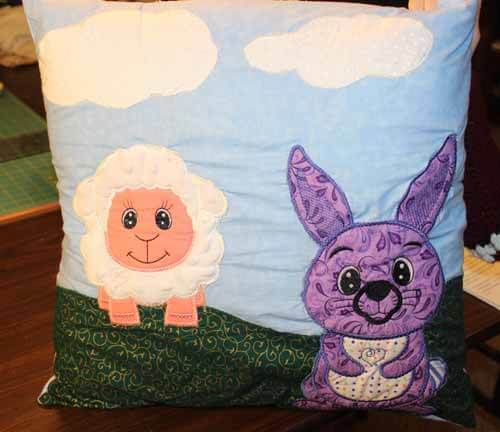 Learn how Kaitlyn made a cute animal pillow. 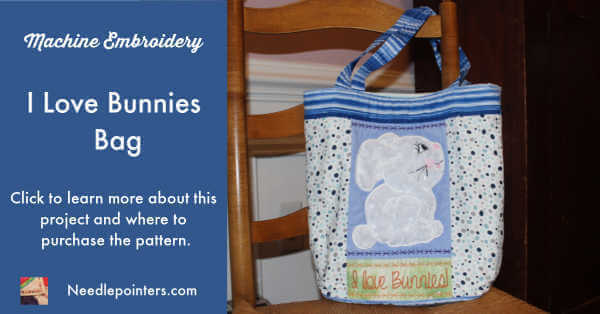 For the animals she used the embroidery machine and a pattern from Kreative Kiwi. 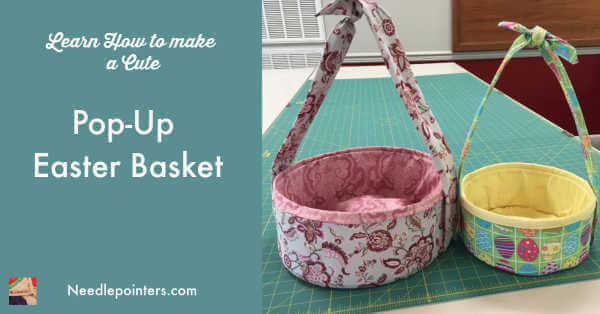 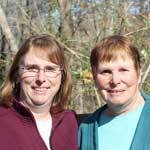 Learn about a cute pop-up basket made by Annette & Chris at a quilt retreat. 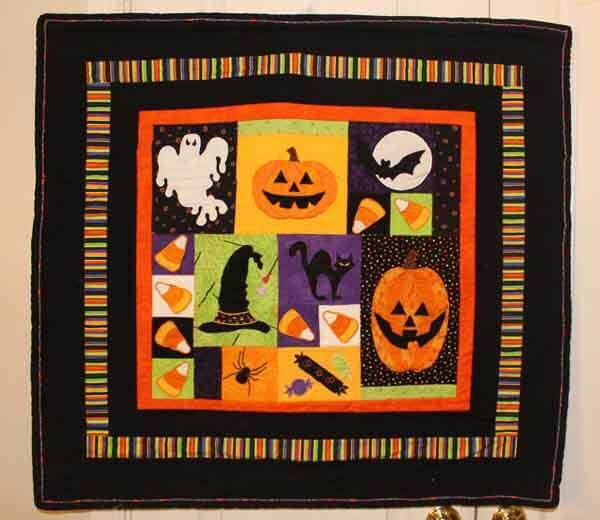 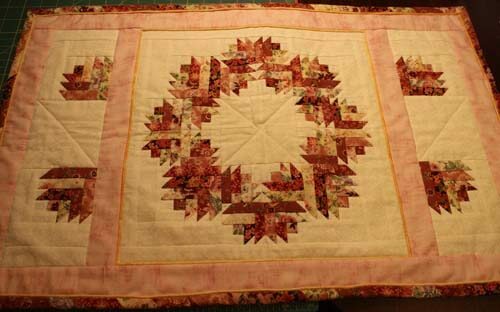 The pattern is by the Fat Quarter Gypsy. 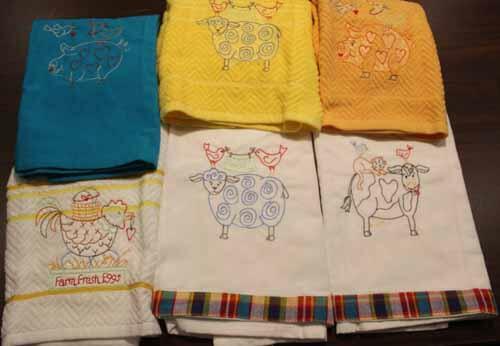 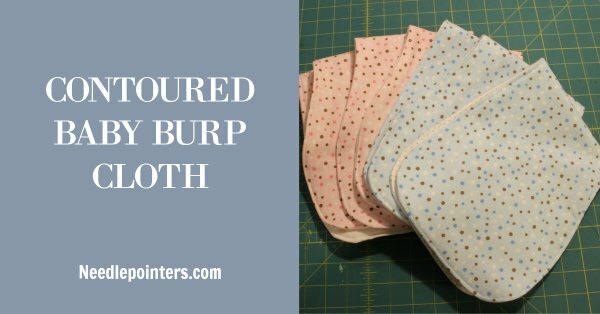 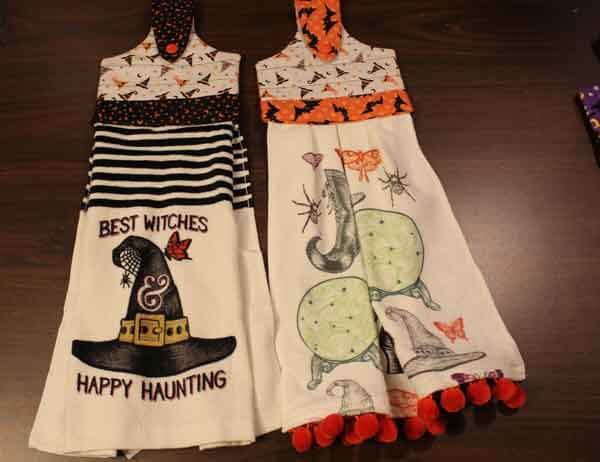 This cute reversible apron is a quick and easy kids project. 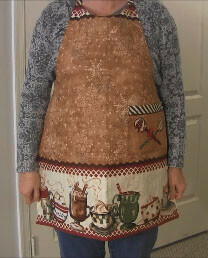 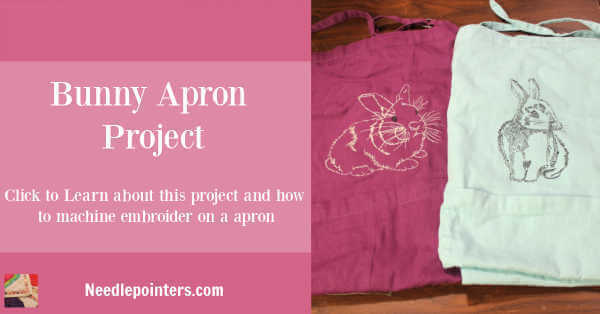 Learn more about this project and how to get free apron pattern. 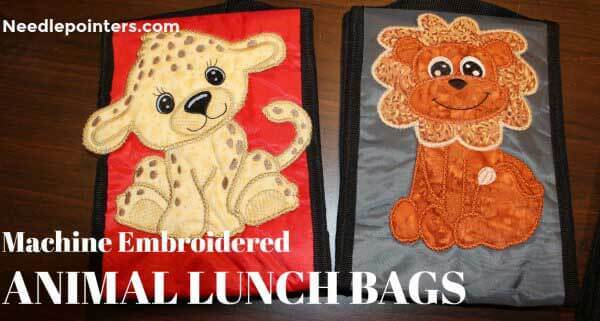 Free insulated and lined lunch bag pattern. 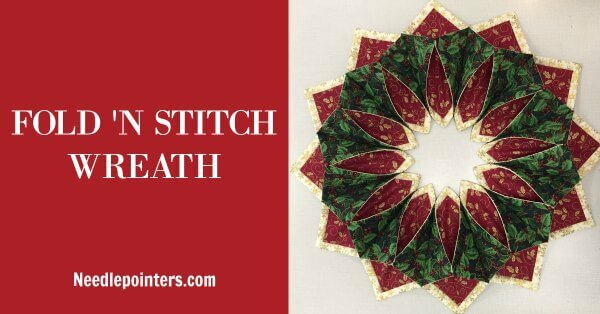 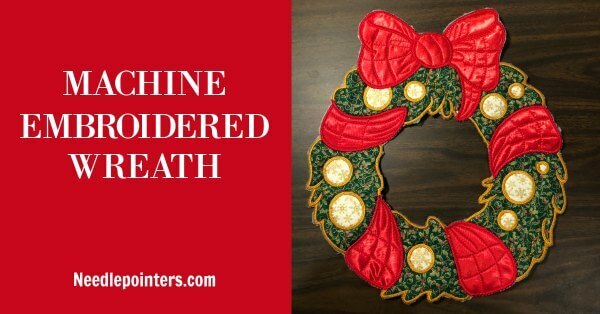 Needlepointers.com share a personal project, Fold 'n Stitch Wreath. 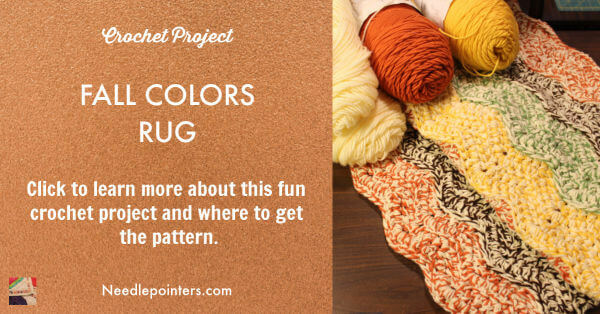 This project can be used as a wall hanging or candle table topper. 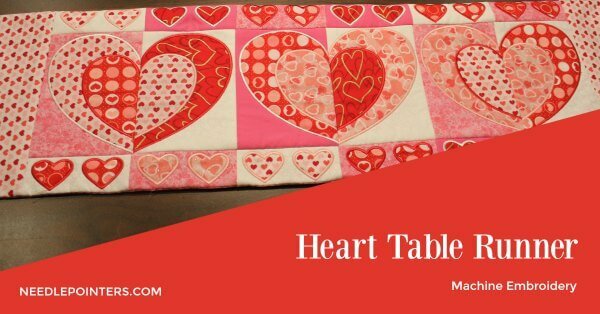 This cute heart table runner is a personal project made by Chris at Needlepointers.com. 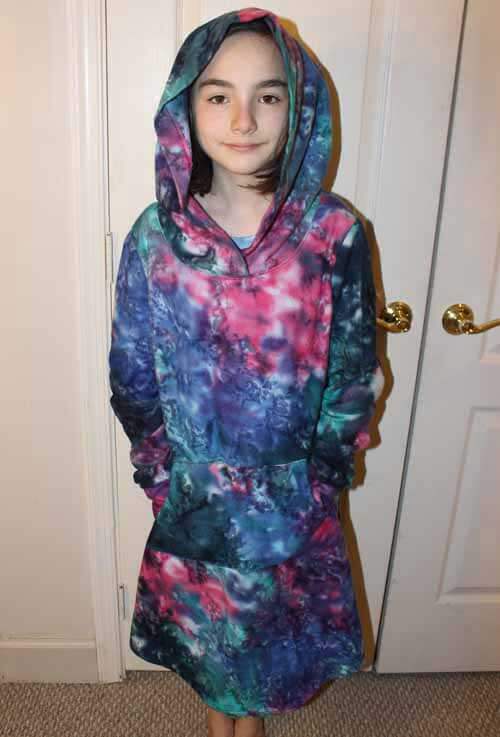 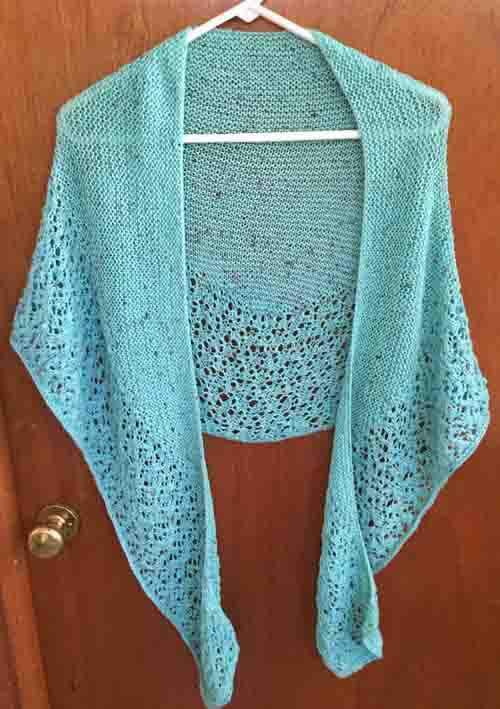 Learn about this hooded nightgown made by Annette for her granddaughter. 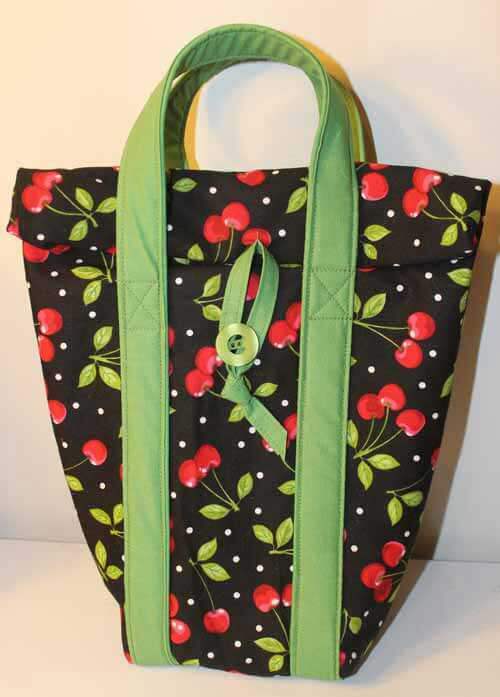 This is one of McCall's easy sew patterns, pattern #7061. 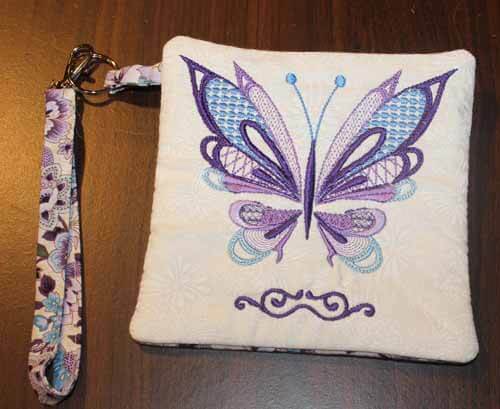 This video show a purse made by Chris at Needlepointers.com. 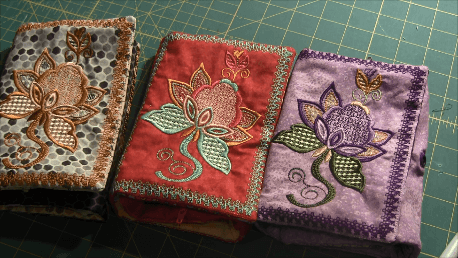 The purse has eight machine embroidered panels that are joined together. 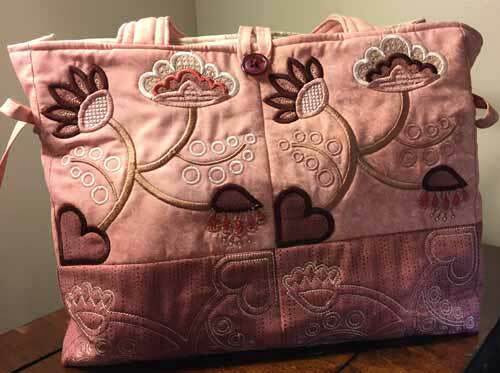 Learn about a vintage looking messenger bag made by Annette from Needlepointers.com. 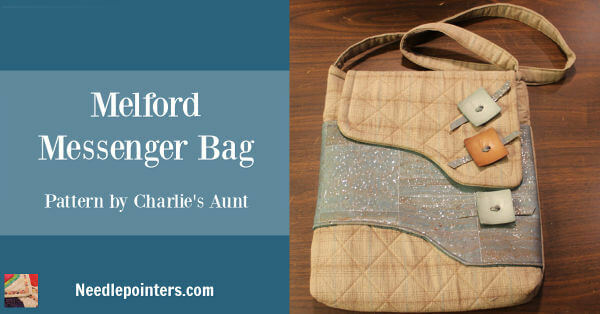 The pattern used was Melford Messenger Bag by Charlie's Aunt. 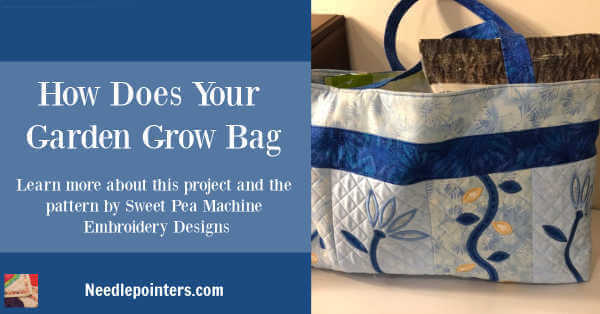 By making purses and bags yourself, you create a bag that is different, unique and one-of-a-kind. 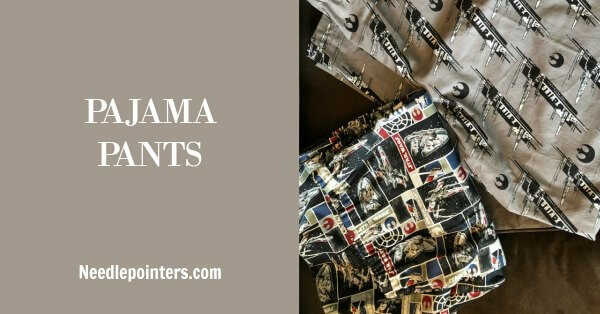 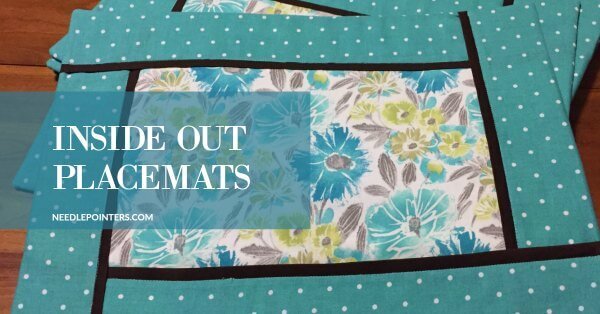 Making pajama pants is one of the easiest pieces of clothing you can sew. 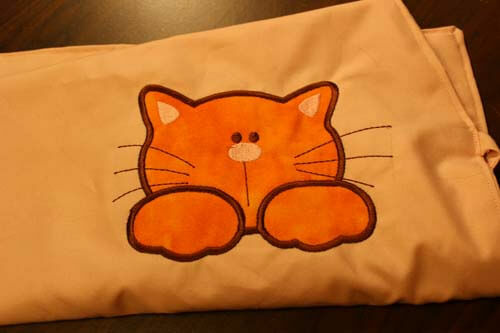 If you want to learn how to sew clothing, this is an excellent beginner sewing project. 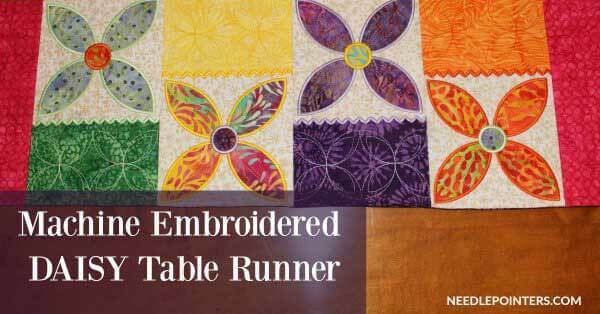 This paper pieced table runner was made by Annette from Needlepointers.com.